The Aluminum Riveted Construction Style is the most popular style of trailer in our product line. Each of these trailers is built with the same Quality and Durability that you have come to expect from T&E Auto Haulers. This method of construction begins with our standard interlocking floor/frame. We then construct the walls on this frame to create a unibody type of construction which provides the utmost in strength with least amount of weight possible. Next, we prepare the wall studs for adhesive tape application by mechanical grinding followed by a liquid surface treatment to ensure a permanent bond with the tape. 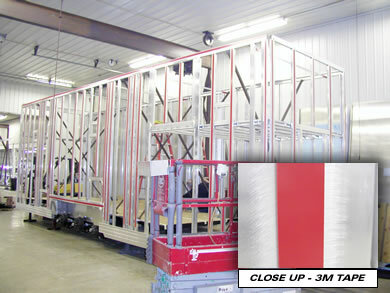 The exterior sheeting panels are then prepared in a fashion similar to the wall studs. 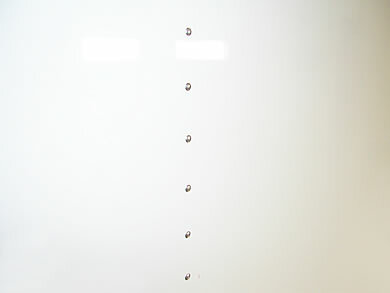 We apply ultra high strength adhesive tape and epoxy to all the wall studs, which are located on 16" centers. After tape application and preparation of the sheets, we install the sheets and jig drill through the sheets and studs and install the sidewalls permanently with high grade aluminum rivets. This results in an unusually strong unit which also features a very clean appearance. Immediately after sheeting the side walls, we then install a .040 thick 1 piece seamless roof to fully enclose the trailer. 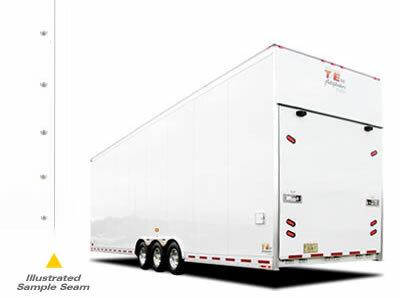 T&E All Aluminum Trailers are available in wide variety of configurations including pull-a-long, gooseneck, fifth wheel, mini-semi and even full size semi type trailers. Each of these trailers is designed to meet the demands of each customers individual specifications. 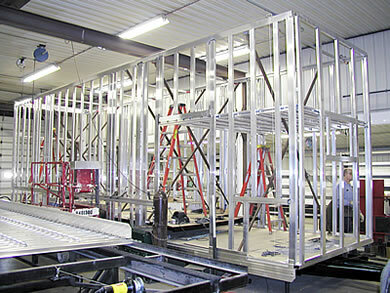 At T&E we pride ourselves in custom building a trailer that will "work" for the customer. 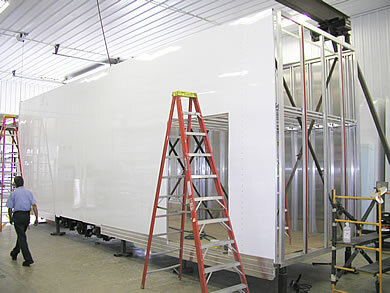 Capture the supreme quality and craftsmanship that only a T&E All Aluminum Trailer can provide! Make it a point to call Todd Datweiler today at 815-426-2761 or use our convenient information request form to have material sent directly to you.